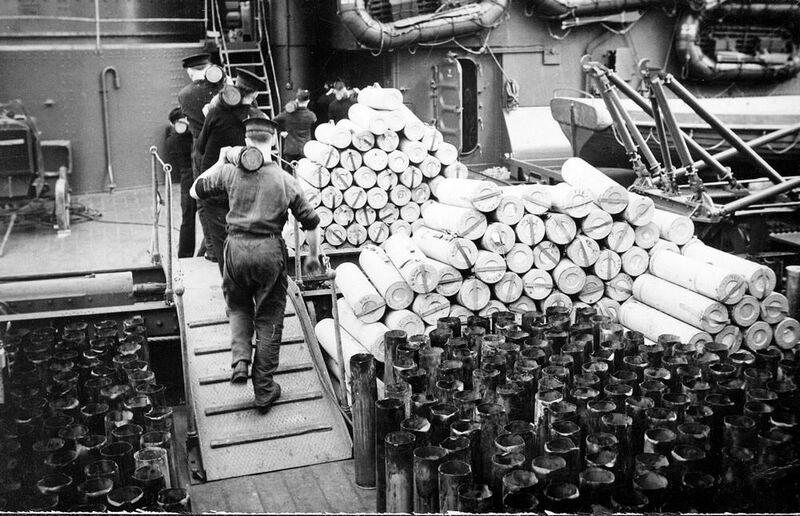 Naval personnel carry new gun cartridges on board the battleship HMS Duke of York (launched 1940), circa 1942. Empty cartridge casts and spent 5.25inch cylinders are lined up beside them. This Empty Cartridge Casts on HMS Duke of York Art Print is created using state of the art, industry leading Digital printers. The result - a stunning reproduction at an affordable price.